His comedic talent helped make these movies box office successes. 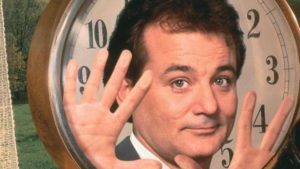 Bill Murray is from the Chicago area and performed in The Second City before starring on Saturday Night Live. Check out The Big Bad Book of Bill Murray by Robert Schnakenberg to learn more about the actor. 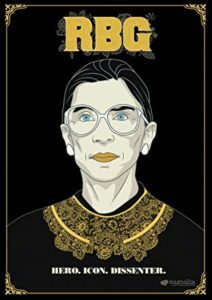 This entry was posted in Mary S. and tagged comedy, movie on March 1, 2019 by ipplstaffblog. I enjoyed the movie The Greatest Showman, but I LOVED the music. 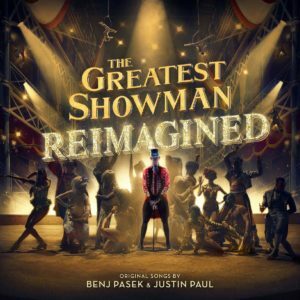 And to my delight, The Greatest Showman: Reimagined has been released. Along with the original cast recordings, the soundtrack has been enhanced with artists including Pink, Kelly Clarkson, Pentatonix, Sara Bareilles, and Panic at the Disco! performing songs. My favorites include Zac Brown Band’s rendition of “From Now On” and Kesha’s take of “This is Me.” Let this rousing album lift your spirits (listen instantly on Hoopla). And check out a Billboard article for how these artists joined forces. This entry was posted in Jennifer and tagged music, soundtrack on February 22, 2019 by ipplstaffblog. 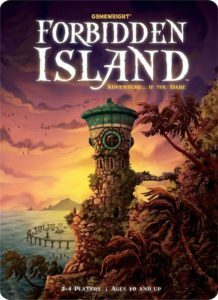 If you like to work with a group or enjoy family games nights that end with everyone happy, Forbidden Island: adventure…if you dare is the perfect game choice. The game takes about an hour to play and is suitable for ages 8 and up. This entry was posted in Jack and tagged board game on February 15, 2019 by ipplstaffblog. Once Litwik’s Family Fun Center and Arcade closes for the night, the characters of each game visit each other and meet in a power strip that connects them all. Wreck-It Ralph, the antagonist of the game Fix-It Felix Jr., is tired of being the bad guy in his game. When he’s challenged to earn the game characters’ respect by gaining a medal like Felix, Ralph enters various video games causing chaos and hilarity. 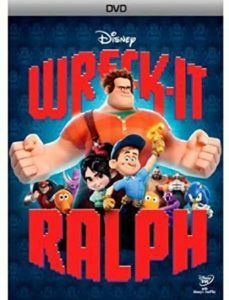 I can’t believe that I missed Wreck-It Ralph when it first premiered in 2012. I am so glad that the sequel Ralph Breaks the Internet came out to remind me to find the original. This is a fantastic comedic adventure that will engage the whole family. Kids will root for Princess Vanellope, who they will likely relate to as she’s constantly told “no” and left out of the race. Ralph will make them laugh and gain their support by the end of the movie — a “bad” guy that everyone loves. Adults will enjoy moments like the bad guy support group meetings and the Diet Coke/mentos mountain — a chemical reaction that yields some fantastic YouTube videos. Definitely give this a re-watch before the sequel comes out on DVD and Blu-Ray in February. This entry was posted in Katie and tagged adventure, animated, comedy, kids, movie on February 8, 2019 by ipplstaffblog. When we are first introduced to Bailey, the lovable narrator in A Dog’s Purpose, he’s a spunky newborn pup full of wonder and curiosity. He asks, “What is this place and why am I here?” As his story unfolds, these questions are answered, and we come to understand all the wonderful reasons dogs exist in our lives. This movie weaves together the separate stories of Bailey’s nine lives and explains how the humans he accompanies on each life’s journey have a unique reason for needing and loving a dog. I loved this sweet movie for the message it shared, but be warned, it will leave you and your children in tears. Keep a box of tissues nearby! 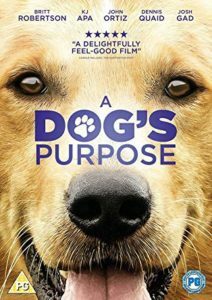 If you love A Dog’s Purpose as much as I did, you’ll find more movies featuring our furry, four-legged friends here. This entry was posted in Kathy and tagged adventure, comedy, drama, kids, movie on February 1, 2019 by ipplstaffblog. 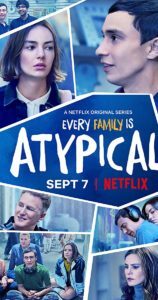 Atypical revolves around high school senior, Sam Gardner. He loves penguins, art, and biology and just happens to be on the autism spectrum. Follow the Gardner family as they navigate relationships at school and home, while Sam works to gain more independence and life experience in this witty, yet heart-tugging Netflix original series. Seasons 1 and 2 are available to stream through Netflix on our Rokus. This entry was posted in Heather and tagged comedy, drama, tv show on January 25, 2019 by ipplstaffblog. Otto Preminger directs a political story of devious and ruthless government officials trying to make backroom deals. The president (Franchot Tone) wants to appoint a controversial man (Henry Fonda) to be Secretary of State. The action takes place among the Senate subcommittee and the bickering leads to devious games and ruined careers. 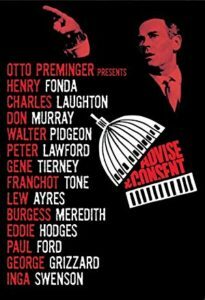 Advise & Consent was considered to be very daring and shocking when released. It still holds up. Charles Laughton, Peter Lawford, Walter Pidgeon, and Gene Tierney play key roles. This entry was posted in Mimi and tagged drama, suspense on January 18, 2019 by ipplstaffblog. Do you love the library? Have you ever thought about being a librarian? 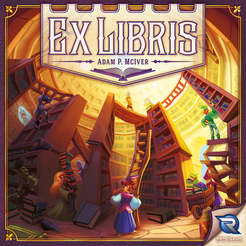 Ex Libris is a board game that allows you to collect rare (and hilariously titled) books to create a library that may even land you the position of Grand Librarian. But beware – there are pitfalls for all aspiring librarians. You will have to make sure your collection is in alphabetical order, that your shelves won’t tip over, and watch out for books that are banned by the city council. This entry was posted in Jack and tagged board game on January 11, 2019 by ipplstaffblog. 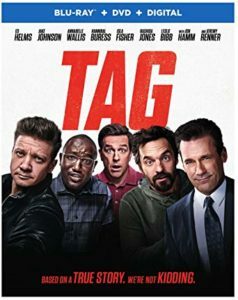 If you want an action movie with low stakes, look no further than Tag. Based on a true story, five friends have been playing the same game of tag since childhood. Now in their mid-30s, these men dedicate a month each year to continuing the game, pulling all kinds of tricks in order to tag someone. A reporter from The Wall Street Journal is doing a piece on Bob (Jon Hamm) when he’s tagged and decides the game is the more interesting story. One friend, Jerry (Jeremy Renner), has never once been it, so the other four are determined to make this the year it finally happens. Full of ridiculous action scenes that beautifully spoof Renner’s other movies, this is a fun film with lots of recognizable comedy faces, including Ed Helm, Hannibal Buress, Jake Johnson, Rashida Jones, and Isla Fisher. This entry was posted in Jez and tagged adventure, comedy, movie on December 28, 2018 by ipplstaffblog.